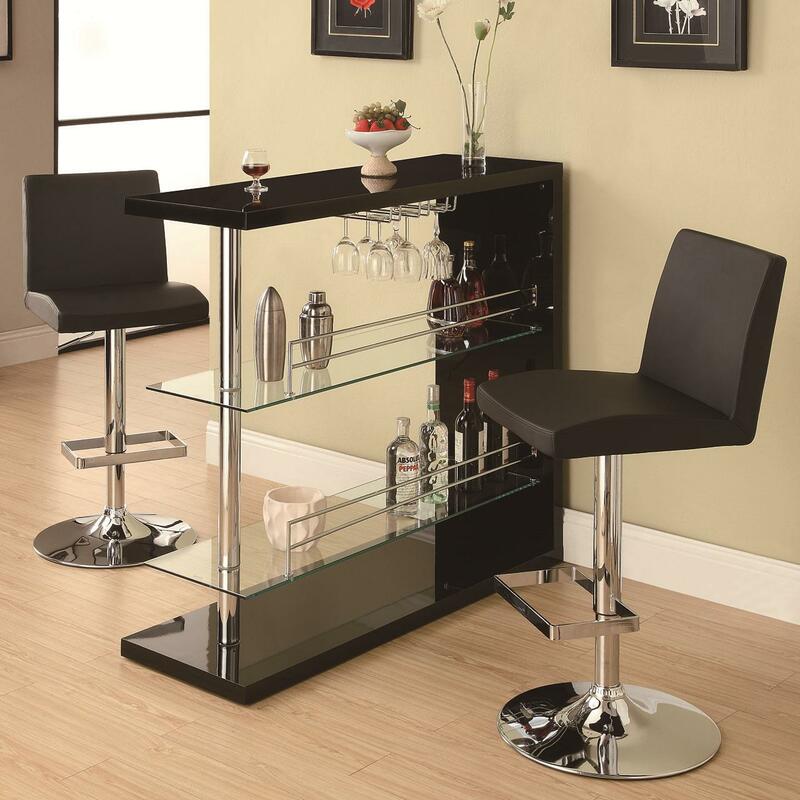 Entertain your friends in total style with this sleek contemporary bar unit. 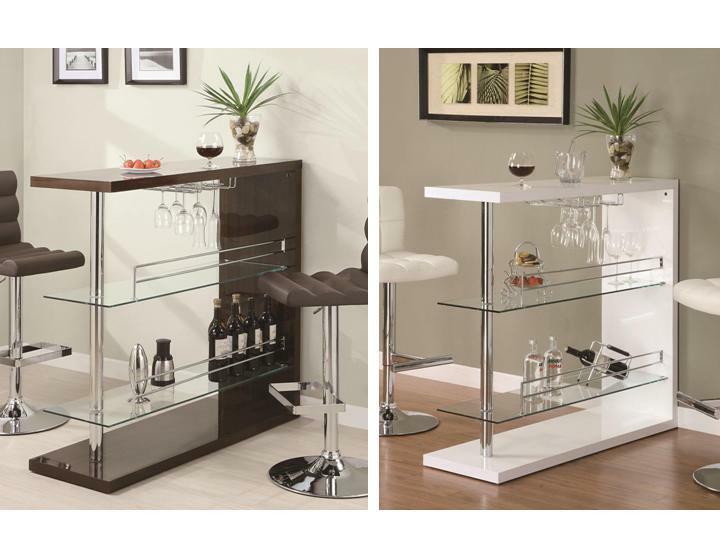 This piece features 2 glass storage shelves and a wine glass holder to store all your drink-making needs. Finished in a high gloss and detailed with chrome accents, this is a sophisticated looking piece.